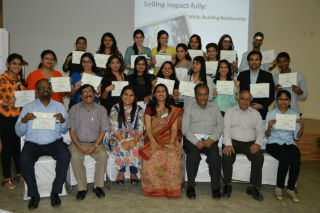 One day training programme titled “How to Build Relationships Impact fully in Sales” was organised by Dale Carnegie Training on 27th Sept, 2016 for the staff of Jagan Institute of Management Studies (JIMS) drawn from CRMC, Marketing, Front Office etc. 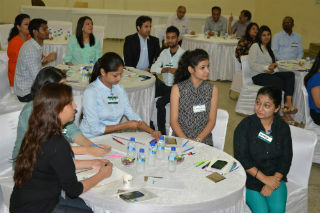 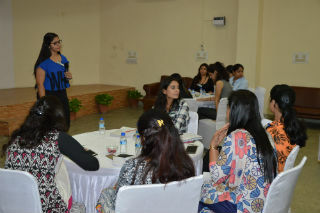 Trainer of the session was Ms. Vinita Yadav a certified trainer from Dale Carnegie. 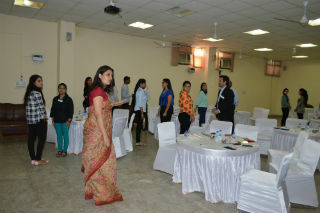 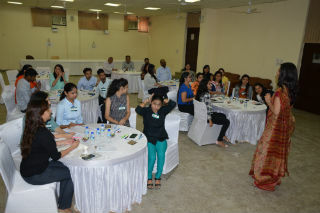 All the sessions were supported by number of group & individual activities, Interaction, presentations and Initiation etc. 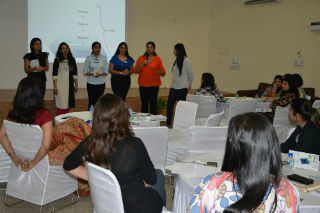 Employees have been asked to correlate the activities with their profiles and it was successfully implemented by them.